Welcome to the latest installment of our series of videos called “One-Minute Fly-Tying Tips and Techniques” from Tim Flagler of Tightline Productions. Each video will teach a single tying skill, from the most basic to the advanced. Ultimately, the series will serve as a sort of encyclopedia of tying skills that will be a valuable resource for anyone who sits down at a vise to create a fly. Figuring out which size bead to use on a particular hook can be the key to a well-proportioned fly, but there are a tons of options. 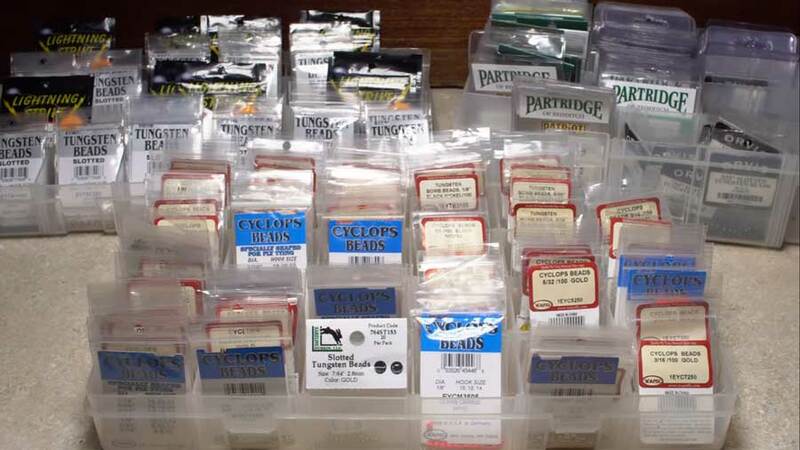 Here, Tim explains how to choose the right kind of bead and how to match the sizes, as well. Once you’ve got this information, you’ll really never have to think about it again. Just consult the chart, choose the right kind of bead, and you’re off! Dang, Tim has a lot of beads. Those boxes look so nice and organized! What kind are they?